We can all agree that cats make fascinating pets and can be an ideal little friend to have around the house, but their health and wellbeing should always be considered. One crucial question is… how often should you change cat litter? There are several factors when considering how often to change cat litter such as color changing cat litter or the brand of litter you use. Your little friend is clean by nature and quite sensitive to unpleasant odors, so please monitor the state of play when it comes to providing a nice environment for them to do their personal business. There are two main types of cat litter to choose from — clumping litter or the more traditional non-clumping clay litter, and the variety you choose plays an important part when you decide to freshen the litter box. Clumpiñg litter should be scooped at least once a day and, as long as it is kept to the required level, it should be replaced every two to three weeks. Non-clumping clay litter will usually need to be replaced once or twice per week. The size of your cat family is another important consideration when deciding how often cat litter needs to be changed. As long as you have plenty of trays available, the above guideline can be followed. If there is a change in color, a lot of wetness or clumping or a persistent nasty smell, then the cat litter will need to be changed more frequently regardless of what type is used. How many cat litter trays are ideal? How often do you change cat litter? That’s a question you should answer depending on your cat, too, but we should also consider how many cat litter trays to put around the house. According to the Humane Society, one extra tray than the total number of cats living in your home is ideal. Additionally, there should be at least one litter tray on each level of your home so that your kitty can have a convenient choice. How do I go about cleaning and scooping the litter box? As we have noted, cats are sanitary creatures, so scooping frequently and properly cleaning the tray when you dispose of the cat litter are necessary. Scooping should occur at least once a day and more often if there is wetness, clumping, or if your cat is unwell. Your feline buddy will not be shy to tell you if there is something unpleasant in the litter tray, often by scratching it. 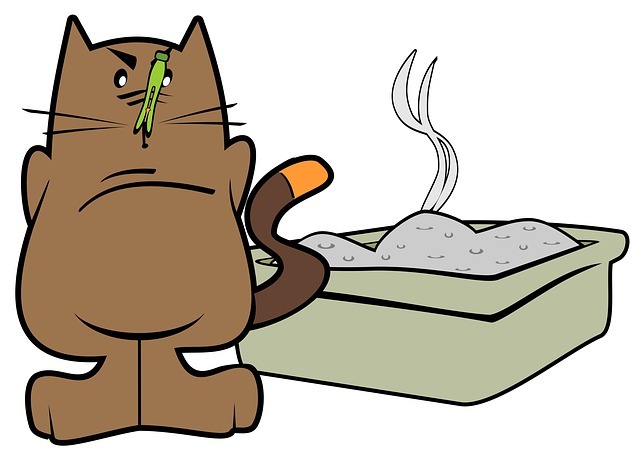 A thorough cleaning of the litter tray with soap and water should be performed every time you dump the litter to get rid of any feces or urine and to remove any unpleasant smells. If we want to keep our feline friends happy and healthy, we need to provide a clean and sanitary environment for them. Proper scooping, changing of cat litter and cleaning are essential, and we hope our little guide has been useful to you.